1) Flower Necklace - If you're familiar with Prescott, you know that they often hold art/craft fairs and other events at the square. I got this necklace there from Ataggirl Creations, which is based out of Prescott, as well. I liked that it has a Western vibe that isn't too overdone, that it has green, and that it's some sort of metal instead of plastic. 2) Disney Train & Dinosaur Print - When I was in Disneyland last month, I saw this print on Main St. during the day; after thinking about it, I rushed in at midnight to buy it on my way out of the park. A collision of dinosaurs and Disneyland, how could I not? It's the perfect blend of absurdity. 3) Hair Clip Set - These are from Anthropologie, which means they're on the pricey side--but you can tell the difference. They're jewelry for the hair. 4) Framed Chalkboard - Chalkboard paint is rather in right now, but I promise that I have always liked chalkboards. They're more old-fashioned, don't smell terrible like dry erase markers, and are friends with wonderfully-edible-looking chalk (you know, chalk resembles the candy in Fun Dip, Necco Wafers, etc.). I still think I'd like to paint an entire wall someday, but this board will do for now. 5) Fairy Soap - Another local product, this soap comes from Clarkdale. 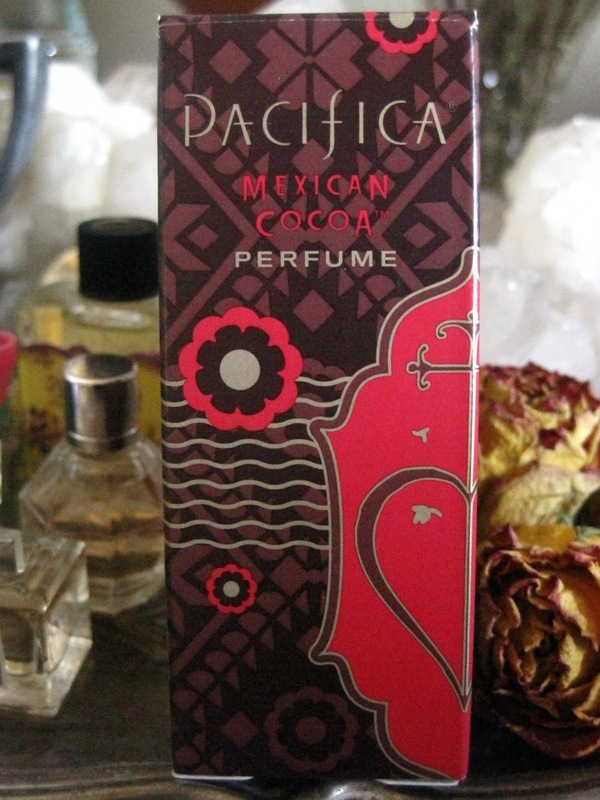 It uses wildflowers, lavender, mint, and lemon to create an aroma that is soft, floral, feminine, and just slightly candy-like. The packaging is beautiful and the soap itself pretty in pink and white. It's also an alright soap with a soft feel. I'll probably buy from this brand, Pie Town Soap and Candle Co., again. 6) Magnifying Glass - A World Market find, a magnifying glass always provides an accent for a bookshelf or desk. Wood, brass, glass, and mystery. 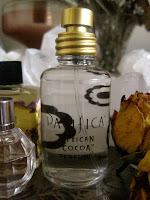 7) Cocoa Perfume - Yes, yes, here we have another item I chose just because of its relation to chocolate. I may do an individual post on this perfume later, describing my mixed feelings about it. 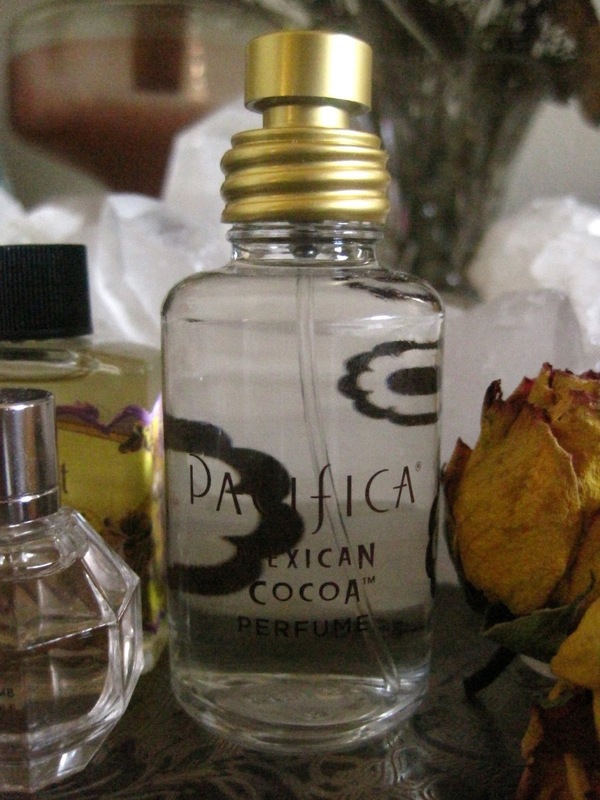 Right now, though, it's simply another little bottle decorating my perfume tray. 8) Dinogami - Two dinosaur items in the same list? Goodness. This set was on sale for $3. The last time I tried origami, I was terrible at it, but that was several years ago; for $3, I thought it was worth it to try again. My first dinosaur turned out rather unwell, although you can at least tell what it's supposed to be. I'll keep at it. 9) Green Earrings - Another Sedona jewelry find, these earrings reminded me of the vintage-esque flower earrings floating around these days. Why are they sitting in a shell, you wonder? Well . . . I had been keeping shells in this box until I decided that it would be nice to use the box for small earrings. Instead of moving the shells out, I just flipped them over to create individual spaces for each pair. Well, except for a couple that share spaces. 10) Rose Pin - A little antique store find, I know nothing about this gold-colored pin except that it's a rose--which is like Beauty and the Beast. I can picture it clipped onto a scarf, purse, jacket, or collar.